Students are now added to their modules on Learning Space automatically. Information is being fed through from SITS (the student information system) to identify students’ modules and add them to their accounts; they will see them listed on the My Modules tab after they login. Students are reliably added to the modules on Learning Space and are no longer required to self-subscribe to see and engage with activities online. It also means that any communication through the modules on Learning Space will be delivered to them as long as they are fully enrolled through SITS. 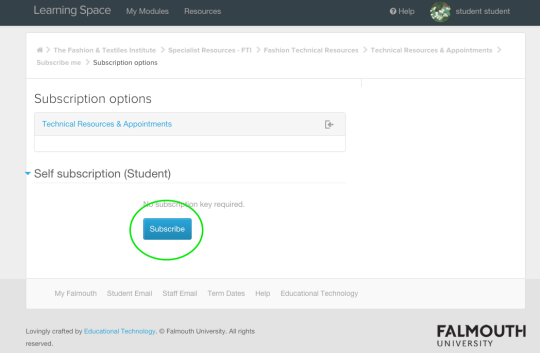 Students will still need to add Course Pages and Technical Resource areas to their accounts by self-subscribing to them.